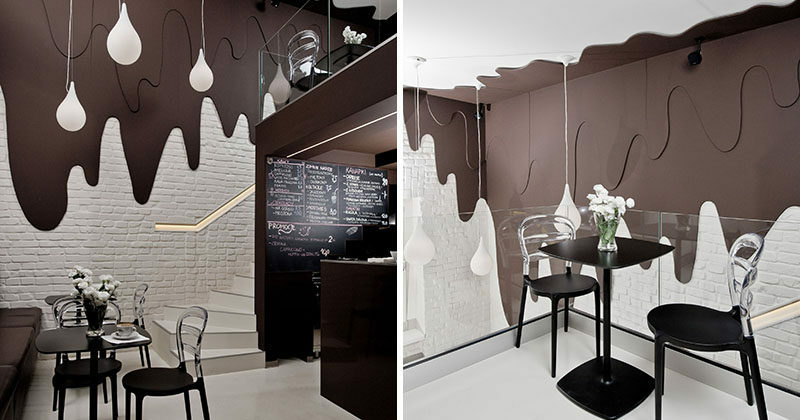 Bro.Kat studio have designed this chocolate shop and cafe in Opole, Poland, that features walls of melted dripping dark chocolate and white ‘milk drop’ pendant lamps. 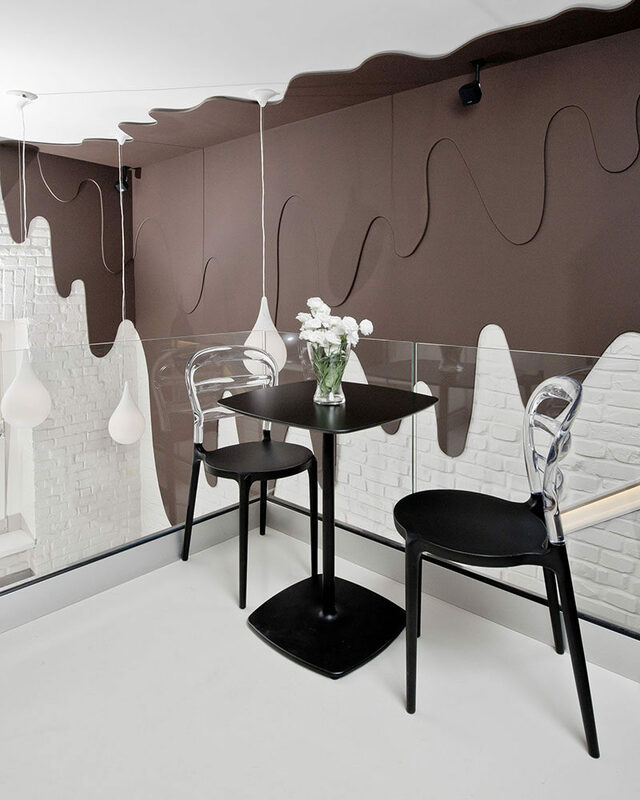 Due to the small space of the shop and cafe, the service counter, kitchen, toilets and utility rooms were placed in a ‘square of chocolate’, while a mezzanine level above adds extra seating. 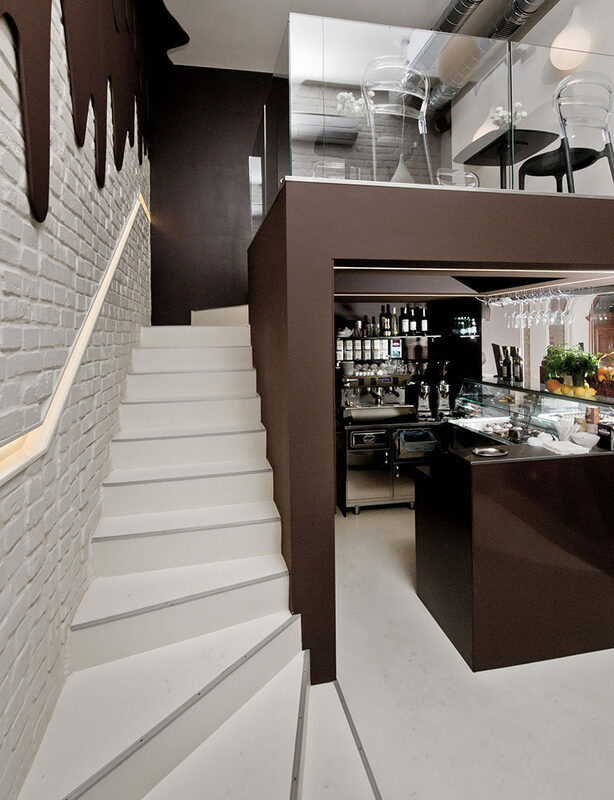 At the back of the space, white stairs lead up to the mezzanine level, and a built-in handrail with hidden lighting is embedded into the white brick wall. 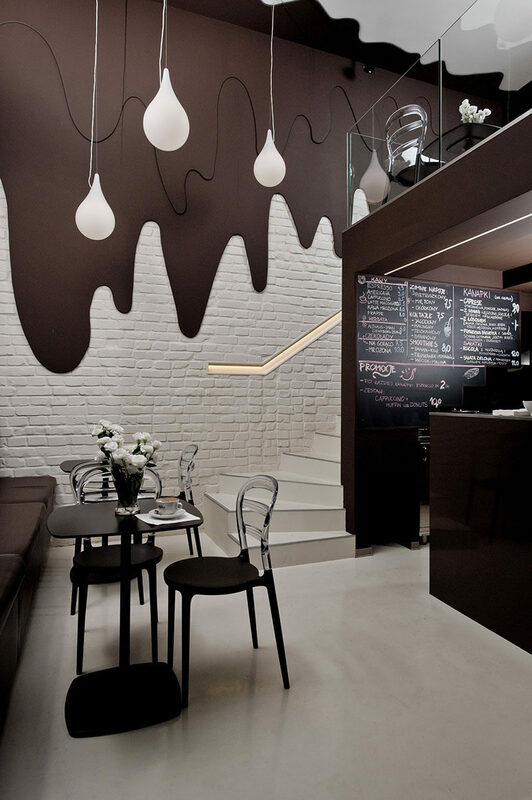 At the top of the stairs is the mezzanine, surrounded by glass railings, so that the light can carry through the space and the view of the chocolate wall is uninterrupted. Here’s a closer look at the service area that is located underneath the mezzanine. 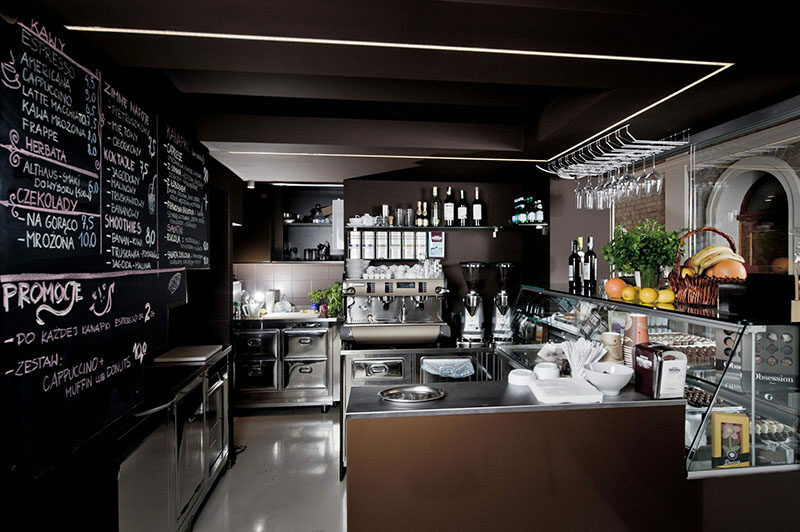 Simple strips of lighting have been embedded into the ceiling as they have a limited amount of height in the space.